Life simply happens to you. There is no conspiracy. There isn’t any logic. So, relax and deal with the Life that comes your way. Yesterday we met with a friend. He comes from a very affluent family. But over the years his business has dwindled, his partner has cheated him and he is having to sell his assets, one by one, to support his kids’ education and to keep “the show going”. He’s worried, he feels insecure and has lost his self-esteem. “I suffered panic attacks last month, I fainted at the wheel while driving. I don’t feel like meeting anyone. I wonder why I am going through all this. I just hate it,” he lamented. 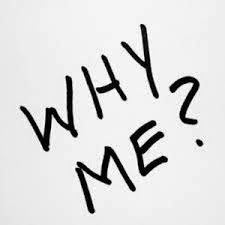 Hating what is and asking “why me” is the surest way to suffer. 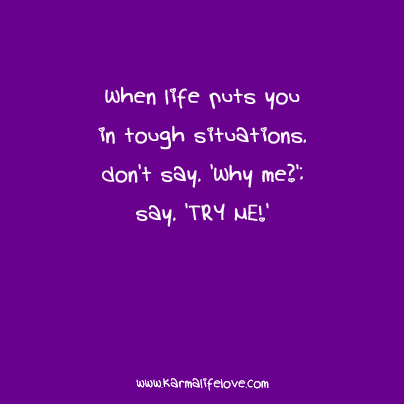 There are no explanations in Life on why you have to go through a phase or an experience. 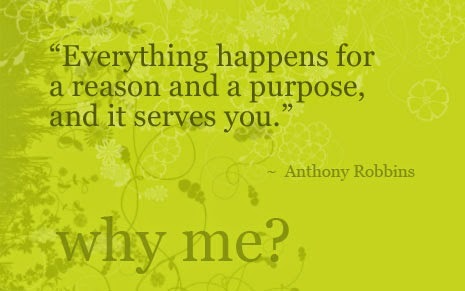 Asking “why me”, therefore, is futile. Just as hating a current situation is. Understand that Life is pretty darn simple – you are created without your asking for it; similarly you are put through a set of experiences in this lifetime and Life offers no explanations for either your creation or for your experiences. When facing Life you are actually dealing with something with which you can’t dialogue, you can’t reason and you can’t negotiate. This may seem hard to do when faced with an irrational situation – but acceptance is the only way to retain your sanity and inner peace. Well, you can choose not to accept the Life that you have been given, but that will only lead to, and accentuate, your suffering. So, if you don’t want to suffer, simply take Life as it comes, deal with it to the best of your ability, don’t ask “why me” and keep moving on!